One of my earliest memories is finding the remnants of a robin’s egg under a tree in my grandmother’s front yard. When I showed her my treasure, she “oohed” and “ahhed” and told me all kinds of interesting things about robins. A Spicing of Birds (Wesleyan University Press, 2010) is a gorgeous book. Jo Miles Schuman and Joanna Bailey Hodgman have selected thirty-seven of Emily Dickinson’s poems about birds and paired them with illustrations “by late eighteenth century to early twentieth century artists/ornithologists.” An introduction describes Dickinson as an “intimate of birds;” someone who “observed them closely and knew intimately their songs, habits, and characteristics.” Her poetry is filled with the fruits of her noticings. Here is one of my favorite poems from this lovely collection. 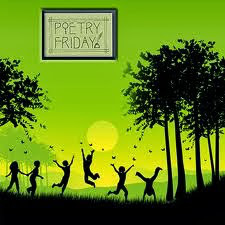 Please be sure to visit Jama at Jama’s Alphabet Soup for the Poetry Friday Round Up. Oh, lovely! hmmm…I don’t think I’ve requested a mother’s day present yet! This does sound like a gorgeous book– love the title too! I am drawn to birds as well… I’m not sure why, but the affection has definitely grown over the years. I’m a bird lover too — the Dickinson poem is new to me. I shall have to find that book :). I think I’d love the vintage prints as much as the poems. Like Michelle, I find myself noticing birds more as I get older. Maybe a sign that we see the more fragile creatures around us as we age and increase in our own fragility? I haven’t seen this book, Catherine, but it looks lovely. I’ve always loved those old bird prints, with their finely noticed details – they share some of the qualities of Dickinson’s poetry. It sounds wonderful Catherine, and what a poem. The robins are up ‘cheering’ at the dawn, & truly do confirm that home, certainty and sanctity are best. Thank you for telling about this! How lovely to be an “intimate of birds”! Pairing the poems with vintage illustrations is a brilliant idea. Thanks for sharing this, Catherine. Emily D. gets robins right! Their pre-dawn reports, their midday ballads, and then their nest-bound silence. This looks like a gorgeous book. 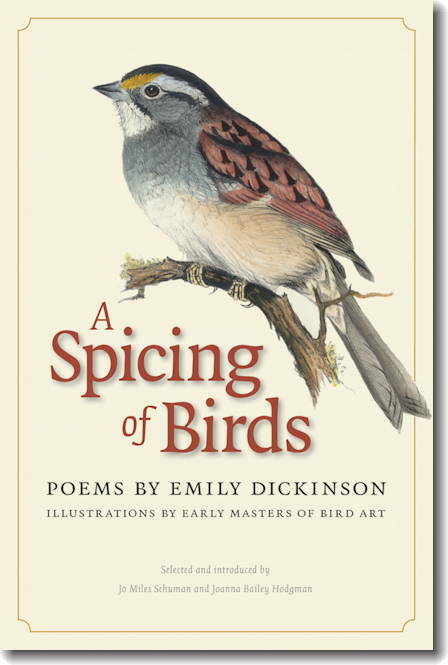 Which reminds me that I do not own a poetry book by Emily Dickinson yet – this looks like one I should find for my own bookshelf.